This has reminded me of a couple of Beatles covers I’ve done that could probably do with an airing (in the absence of much inspiration of late). 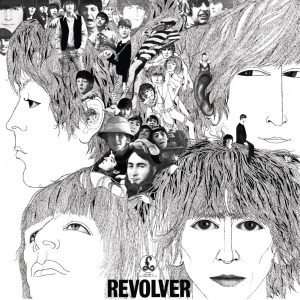 One of my all-time favorite albums, Revolver, by the Beatles of course, started a 6 week run at no. 1 on the US album chart on this date in 1966. It wasn’t widely popular in the US initially because it came on the heels of the controversy surrounding John Lennon’s statement that the Beatles had become “bigger than Jesus”. It was a pseudo-sequel to Rubber Soul, which was a transition for the band into more unchartered territory musically. The album eventually was considered groundbreaking both in terms of studio techniques and musically. It also has been widely hailed as one of the greatest albums of all-time. Rolling Stone magazine ranked it 3rd on its Top 500 Albums. Even the cover art garnered a Grammy Award. It’s release also coincided with the bands’ final US concert tour.